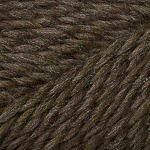 Elann just came out with it's Chunky version of the Peruvian Highland wool. And at $2.25 a skein I just couldn't resist. I bought enough to make Banff from the Winter 03 knitty. I really would've loved to get every color! They are all so pretty!! I've been getting so much pink and purple lately that I thought I'd better go with a more neutral color. I'm still trying to decide on my Ribby Cardi. I heard they are going to release more colors in January and if they have more Raspberry I'm just going to do a solid cardi in that color. And then I will definitely be on a yarn diet!!!! I ended up frogging my Karlsro sleeve. I thought I was doing it wrong... turns out I was do it right. And then each time I started I kept messing up! Argh... so I thought I'd better work on something simpler... like buying more yarn! I talked to my friend from Burma today. She said there are like 8,000 missing in her country. I hope all her family and friends are safe. Her mother was worried about her sister that lives in Japan, but she is fine. It just goes to show how vulnerable we really are and how we really do need to live each day to the fullest. Going to hug my kids and hubby now! Cold and Flu are the most common natural infective viruses in the world. Certain nutrients such as vitamin C and Zinc can strengthen the body’s immune system and help stave off infection or reduce the severity of it. Herbs such as Echinacea have been shown to reduce the symptoms of the common cold. Goldenseal has been shown to relieve sore throats by soothing the membranes. Though not possible for everyone, a well balanced diet, sleep, a multi-vitamin supplement, a vitamin C supplement, regular exercise, effective stress management and avoiding alcohol and tobacco are the best ways to achieve optimal health and the prevention of colds. More immunity tips.